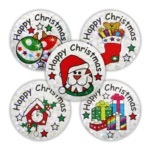 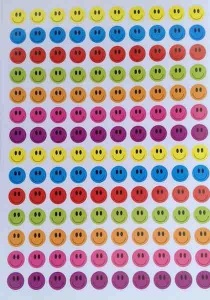 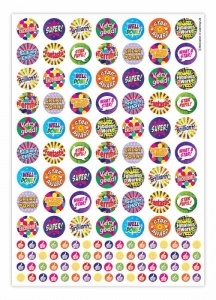 Smiley face bumper sticker 16mm with 140 stickers per sheet. 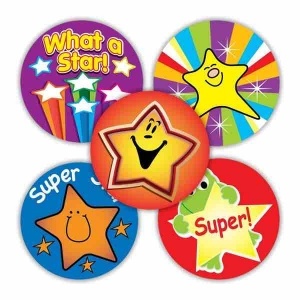 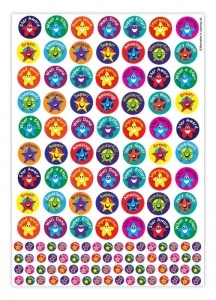 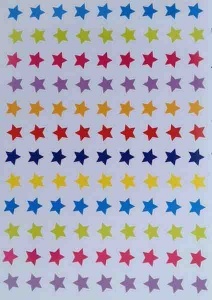 Stars bumper sticker with 108 stars per sheet. 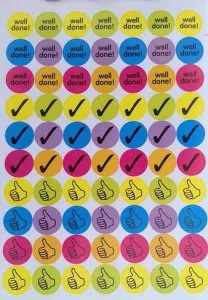 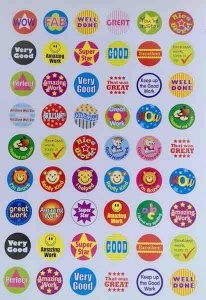 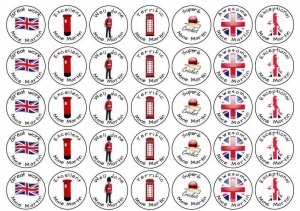 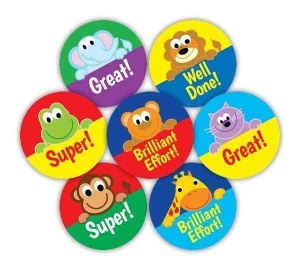 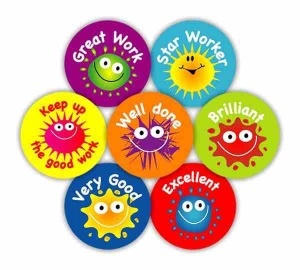 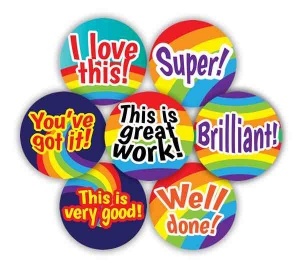 Well done variety bumper sticker 25mm with 54 stickers per sheet.